Who advocates for New York State history? I have frequently bemoaned the absence of a history agenda, an organized history community, and history advocacy day here. 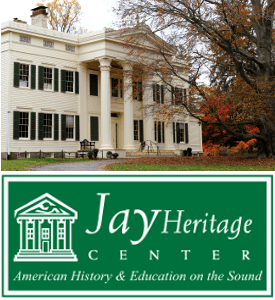 Last year, Ken Jackson, Columbia University and plenary speaker at the kickoff of the Path through History program, ridiculed that very program in his plenary address to the Great Hudson Heritage Network (GHHN). That plea was followed up by a letter to the Governor through the auspices of the New York Academy of History. Naturally, there was no response, not even a form letter. So he tried again this time using the demise of the New York State Historical Association (NYSHA) as the impetus. 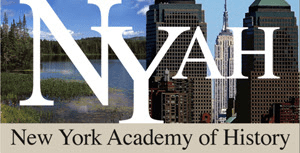 John Warren, editor of New York History Blog reported the event on April 2, 2017 in a report entitled NYSHA Defunct: New York State Historical Association Is No More. Bruce Dearstyne, another long-time advocate for local and state history, wrote about the end of NYSHA for New York History Blog in a piece entitled New York State History in the Post-NYSHA Era. Bruce recounts the history of the now-defunct organization and highlights the need for an organization to do what NYSHA has not been doing for decades. Exactly. We need a state organization to do precisely what the name that organization implies it did. Into to fray now steps Ken Jackson, a former trustee of that very organization. The letter reproduced below was sent out in October to every state legislator and Regents As you will see, the list of signers is an impressive one. Of course, you already know what the response was. “We write to alert you to a series of actions which will seriously compromise and undermine New York State’s prominent role in our national heritage. On March 14, 2017, the New York State Historical Association (NYSHA) in Cooperstown, NY, ceased to exist when the State Board of Regents approved a name change from NYSHA to the Fenimore Art Museum (FAM). No prior notification of this action was ever given to the affected communities, and the name change was but one of dozens of official acts by the Regents on that day. “As professional historians, museum curators, prize-winning scholars, distinguished archivists and librarians, and leaders of historical organizations, all of whom are elected Fellows of the New York Academy of History, we are angered about and oppose this action. This change, which is the final step in the degrading of NY history in Cooperstown, will damage the Empire State’s rich history and hinder its preservation. At risk are teacher education programs; History Day, for public school students; the important Library Collection, which holds almost 100,000 volumes and priceless archival materials; the future of New York History, the oldest and only historical journal on our state’s history; the annual New York State Conference on History has ceased to exist; and the standing of New York as preeminent in national history, as it will become virtually the only state in the nation without its own history association. “NYSHA came into existence thanks in large part to a bequest from a private foundation, the Clark Estates. The original charter and the three amended versions (1913, 1926, and 1945, as well as the 2017 one) all specify that New York history is a prime focus. NYSHA was incorporated in 1899 “to promote historical research, to disseminate knowledge of the history of the state by lectures and publication.” The stealth charter change in March 2017 retained those phrases but shockingly broadened the areas of interest to extend outside New York State. We are surprised that legally this does not violate the organization’s 501(c)3 status. In addition, public money is annually allocated to NYSHA – now the Fenimore Art Museum – to promote New York history, but the organization is now failing to fulfill this mission at present. 5. Continue all other established activities such as the Dixon Ryan Fox Prize. Kenneth T. Jackson: President, New York Academy of History; President emeritus, New-York Historical Society; former trustee, New York State Historical Association; Jacques Barzun Professor of History, Columbia University; Editorial Board member, New York History. Paula Baker: Associate Professor of History, Ohio State University; Editorial Board member, New York History. Stuart M. Blumin: Professor Emeritus of American History, Cornell University; former Trustee, New York State Historical Association; Editorial Board member, New York History. Patricia U. Bonomi: Professor Emerita, New York University; Fellow & Former President of the New York Academy of History; Fellow of the Society of American Historians; Editorial Board member, New York History. Leslie Fishbein: Associate Professor of American Studies, Rutgers University; Winner, 1976 New York State Historical Association Manuscript Award for “Radical Renaissance: The Ideological Conflicts of the Radicals Associated with The Masses;” Editorial Board member, New York History. Timothy J. Gilfoyle: Professor and former Chair of History, Loyola University Chicago; Past President, Urban History Association; Associate Editor, Journal of Urban History; Editorial Board member, New York History. Laurence M. Hauptman: SUNY Distinguished Professor Emeritus of History. Lisa Keller: Professor of History, Purchase College SUNY; Secretary, New York Academy of History; Editorial Board member, New York History. Dennis Maika: Senior Historian and Education Director, New Netherland Institute. Robert W. Snyder: Professor, Journalism and American Studies, Rutgers University-Newark; Editorial Board member, New York History. Timothy J. Shannon: Professor and Chair of the History Department, Gettysburg College; Editorial Board member, New York History. Carol Berkin: Presidential Professor of History, Emerita, Baruch College. Richard Lieberman: Professor of history, Director of the LaGuardia and Wagner Archives, LaGuardia Community College. Jeffrey Kroessler: Associate Professor, Lloyd Sealy Library, John Jay College. Mike Wallace: Distinguished Professor, John Jay College and Graduate Center, CUNY; Founder, Gotham Center for New York City History; Pulitzer Prize Winner. David Schuyler: Arthur & Katherine Shadek Professor of the Humanities and American Studies, Franklin & Marshall College. Philip Ranlet: Adjunct Associate Professor of History, Hunter College, CUNY. T.J. Stiles: National Book Award Recipient; Pulitzer Prizes Recipient, for Biography and for History;Guggenheim Fellow. Edward T. O’Donnell: Professor of History, Holy Cross College. Clifton Hood: Professor of History, Hobart and William Smith Colleges. Owen Gutfreund: Associate Professor, City University of New York; Fellow, New York Academic of History; former Chair, New York Council for the Humanities (Humanities New York). Nan Rothschild: Barnard College, Columbia University. Jean Ashton: Executive Vice-President and Library Director, Emerita, The New-York Historical Society; Chairman of the Board, Humanities New York (formerly The New York Council for the Humanities). Charles Gehring: Director, New Netherland Research Center. Field Horne: Author and Independent Historian. Peter Galie: Professor Emeritus, Canisius College, Buffalo, NY. Judith Wellman: Professor Emerita, State University of New York at Oswego. Daniel Czitrom: Professor of History, Mount Holyoke College. Jon Butler: Howard R. Lamar Professor Emeritus, Yale University; Past President, Organization of American Historians. Leslie M. Harris: Professor of History, Northwestern University. John Kasson: Professor Emeritus of History and American Studies, University of North Carolina at Chapel Hill. Edward Countryman: University Distinguished Professor of History, Southern Methodist University; Recipient, Bancroft Prize. Kathryn Kish Sklar: Distinguished Professor Emerita, State University of New York, Binghamton. Jeffrey S. Gurock: Klaperman Professor of American Jewish History, Yeshiva University. Carol Kammen: Senior Lecturer, retired, Cornell University Department of History, New York State Public Historian of 2004, and Tompkins County Historian. Simon Middleton: Associate Professor of History, William and Mary; Editorial Board Member, Cultural and Social History and Early American History Series, Brill; Fellow of the Royal Historical Society. Philip Terrie: Emeritus Professor, American Culture Studies and Environmental Studies Bowling Green State University. Elizabeth Blackmar: Professor of History, Columbia University. Tyler Anbinder: Professor of History, George Washington University. David Nasaw: Arthur M. Schlesinger, Jr. Professor of History, CUNY Graduate Center; President, Society of American Historians. Steve Zeitlin: Executive Director, City Lore. Deborah Dash Moore: Frederick G. L. Huetwell Professor of History and Judaic Studies, University of Michigan. Thomas A. Chambers: Professor of History, Niagara University; President, Niagara Falls National Heritage Area. Ivan D. Steen: Associate Professor of History Emeritus, University at Albany, SUNY; Co-Director, Center for Applied Historical Research. Jerald Podair: Professor of History and Robert S. French Professor of American Studies, Lawrence University. Vincent J. Cannato: Associate Professor of History, University of Massachusetts, Boston. John Winthrop Aldrich: Retired New York State Deputy Commissioner for Historic Preservation. Daniel K. Richter: Roy F. and Jeannette P. Nichols Professor of American History, University of Pennsylvania. Tom Bender: University Professor of the Humanities and Professor of History Emeritus, New York University. Ellen M. Snyder-Grenier: REW & Co., Research, Exhibitions, Writing. Carol Willis: Director, Skyscraper Museum. Graham Russell Gao Hodges: George Dorland Langdon, Jr. Professor of History and Africana Studies, Colgate University. David Rosner: Ronald H. Lauterstein Professor of Sociomedical Sciences and History, Columbia University. Natalie Naylor: Professor Emerita, Hofstra University. David Reimers: Emeritus, New York University. Myra Young Armstead: Lyford Paterson Edwards and Helen Gray Edwards Professor of Historical Studies, Vice President of Academic Inclusive Excellence, Bard College. Jonathan Soffer: Professor of History and Chair, Department of Technology, Culture & Society, NYU Tandon School of Engineering; Associated Faculty, NYU Dept. of History. Robert A. Orsi: Professor of History, Northwestern University. Susan Ingalls Lewis: Associate Professor of History, SUNY New Paltz. Ruth Piwonka: Independent historian, Kinderhook NY. Firth Haring Fabend: Independent historian. David Hammack: Hiram C. Haydn Professor of History, Case Western Reserve University. Richard Plunz: Professor of Architecture, Director Urban Design Program, Columbia University. Eric Homberger: Professor Emeritus of American history, University of East Anglia, Norwich, UK. David Stradling: Associate Dean for Humanities , Zane L. Miller Professor of History, College of Arts and Sciences, University of Cincinnati. Jameson Doig: Professor Emeritus, Princeton University. Lynne Sagalyn: Earle W. Kazis and Benjamin Schore Professor Emerita of Real Estate, Columbia Business School. John L. Brooke: Arts & Sciences Distinguished Professor of History, Dept. of History, Ohio State University. Max Page: Professor of Architecture and History & Director of Historic Preservation Initiatives, University of Massachusetts. Seth Kamil: Public Historian; President, Big Onion Walking Tours. Dean R. Snow: Professor of Anthropology, Penn State University. Virginia Sanchez Korrol: Professor Emerita, Brooklyn College, CUNY. Faye Dudden: Professor of History, Colgate University. William Graebner: Professor Emeritus, State University of New York, Fredonia. Sara Johns Griffen: President Emerita, The Olana Partnership; board member and former Chair, Hudson Valley Greenway Conservancy. Lara Vapnek: Professor of History, St. John’s University. Evan Haefeli: Associate Professor of History, Texas A & M University. Richard Greenwald: Dean of the College of Arts and Sciences at Fairfield University. Miriam Cohen: Professor of History, Vassar College. Joseph J. Salvo: Director, Population Division, New York City Department of City Planning. Michael Frisch: Professor of American Studies and History/ Senior Research Scholar, Emeritus, Univ. at Buffalo, SUNY; Talking Pictures, LLC / The Randforce Associates, LLC. Charles Sachs: Independent Scholar; retired, Senior Curator, New York Transit Museum. Michael Leroy Oberg: Professor of History, Geneseo, SUNY. David William Voorhees: Jacob Leisler Institute. Thomas Kessner: Professor of History, CUNY Graduate School. Amy Godine: Independent Scholar, Saratoga Springs. Jaap Jacobs: Professor of History, University of St Andrews. Andrew S. Dolkart: Professor of Architecture, Planning & Preservation, Columbia University. Stefan Bielinski: Senior Historian emeritus, the New York State Education Department. Lillian S. Williams: Associate Professor, Transnational Studies Department, University at Buffalo, SUNY. George Chauncey: Professor of History, Columbia University. Charlotte Brooks: Baruch College, CUNY. Nicholas Westbrook: Director Emeritus, Fort Ticonderoga. ​Joseph S. Tiedemann: Professor of History, Loyola Marymount University. Tom Lewis: Professor Emeritus, Skidmore College. Celedonia Jones: Former Manhattan Borough Historian. While the petition focuses on the NYSHA, it opens the door to all the history issues which have been raised in the blogs here. The signers include not just college professors but representatives from historical organizations, municipal historians, and former state government employees. In other words, the state government thumbed its nose at a fairly distinctive and broad-based list. As an independent scholar living in Asheville, NC, I now better understand why I am having so much trouble finding support for my research and writing about John Apperson and his efforts to protect and preserve the islands and shores of Lake George – from developers, loggers, high water, and squatters. It is hard to get a fellowship to study Adirondack history in a state that has so few museums and archives with a commitment to scholarly inquiry on the subject. Yet New York, with its forever wild clause of the constitution, led the nation in promoting wilderness. The Wilderness Society, the Adirondack Mountain Club, the Nature Conservancy, and a host of our present day land conservation organizations all owe a debt to the work of early activists from Schenectady, starting in 1910 or so, but few scholars have ever had access to the Apperson/Schaefer archives at Union College/Kelly Adirondack Center. I am doing what I can to teach these important lessons, by publishing a book (John Apperson’s Lake George, 5/2017) and a website (www.adirondackactivism.com), and sincerely hope that New York will find a way to do a better job in supporting history education! The demise of NYSHA seems perfectly fitting in the Age of Trump. In my home state of Illinois, local history is looked down on and I only know of one Illinois history class at the undergraduate level. I’m glad to see so many people are actually advocating for a focus on and enrichment of state and local history. Although the situation looks bleak, you are 100 times better off than Illinois believe me. All history is local. Every event happens somewhere. It seems strange to me how it’s looked down especially at an academic level. Succesive administrations at NYSHA and the Farmer’s Museum have managed to slowly obliterate a once world class historical association, through antipathy, mission creep, or outright neglect. Stephen C. Clark Sr. and Louic C. Jones pulled off quite the coup when they brought NYSHA from Ticonderoga. With the help of Dixon Ryan Fox, Edward P. Alexander, and Clifford Lord it made huge advances. In the last few decades we have seen fundamental aspects of the organization they helped build decline and eventually fade away entirely. The educational program for schools, the Young Yorkers was a great vehicle for promoting NY State history in schools, as well as ensuring visitation to the museums throughout the school year. It built relationships with NY youth that built appreciation for NY’s history and gave them a vested interest in the organization. The Seminars on American Culture brought people from all over to Cooperstown experience history first hand and learn more about their past. The New York History quarterly was a first class publication and invaluable to both professional historians and amateurs alike. Wendell Tripp’s contribution to the production of that publication was yeoman’s work and he deserves recognition for his years of work on it. Now it is all gone, a legacy squandered by later generations. In a few years no one will really remain who remembers what the organization once was. 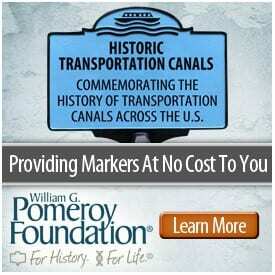 It is ironic that an organization based on the preservation of history has forgotten its own. Someone needs to write the history of NYSHA before everyone is gone and the lessons of its decline are lost to the ages. The letter above is signed by the President of the Society of American Historians and a Past President of the Organization of American Historians; two former trustees of the New York State Historical Association and nine Editorial Board members of NYSHA’s journal New York History; the current and former Chairs of the New York Council for the Humanities (now Humanities New York); the President emeritus and a former Executive Vice-President and Library Director of The New-York Historical Society; the President, former President, and Secretary of the New York Academy of History; the founders of the New Netherland Research Center, the Jacob Leisler Institute, and Gotham Center for New York City History; a Retired New York State Deputy Commissioner for Historic Preservation; a Senior Historian emeritus of the New York State Education Department; a former Manhattan Borough Historian; two Pulitzer Prize winners and a National Book Award recipient, and most of New York State’s most distinguished historians. I would encourage readers to read the original announcement which outlines what has in fact happened to what was the New York State Historical Association. I wish that I could have put my name on this as well, but my status as a former employee would obviously have detracted from the impact. Fred Lucas, Independent Historian, Indiana.